Established in 2005, PeaceSoft is a pioneer and leader in the e-commerce market in Vietnam with a portfolio of complementary sites and services in online commerce, payment and advertising. 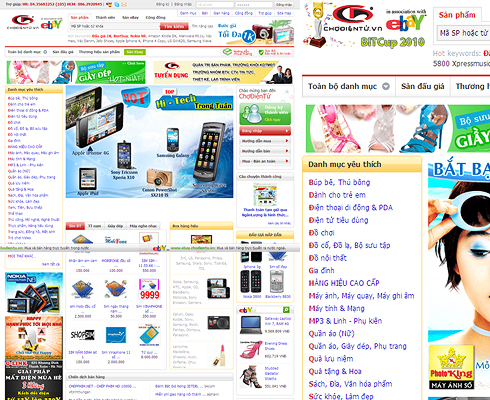 Among its products is the leading shopping and auction site in Vietnam, ChoDienTu. ChoDienTu launched in 2008, and has more than 150,000 registered members and 2,000+ e-stores. It was Vietnam’s first e-shopping site with certified security from VISA and MasterCard. In June 2008, PeaceSoft expanded its reach internationally, signing a partnership agreement with eBay. Together, the companies built and launched eBay.vn, the only site which allows Vietnamese to buy and sell merchandise overseas by interacting directly with the 225 million eBay users worldwide. PeaceSoft also operates AdNet, the largest network of advertisers and publishers in Vietnam, and NganLuon, an online payment and escrow system akin to PayPal. The company has won multiple awards, including being named one of the top 100 private technology companies by Red Herring Asia.